It's Monday morning again and that only means one thing in these parts: eShop charts. Accidental poetry aside, here's the list of everything that's selling well in the world of 3DS digital downloads, as collated and published by Nintendo itself. Zen Pinball 3D sets this week's high score, while most Virtual Console games slip a place or hold their ground. Pop Island: Paperfield continues its rise up the charts, but Pyramids drops out of the top 10, having gone from 5 to 11 in two weeks. 2. [-] Freakyforms: Your Creations, Alive! 16. Mario vs. Donkey Kong: Minis March Again! After landing at number 9 on last week's chart — before the game was even released — Zen Pinball 3D pings right to the top of the popular 3DS downloads. With Pushmo on the way this week we'll finally have a complete top 10. Paper beats scissors and rock apparently, as Pop Island Paperfield topples Cut the Rope and Escape Trick: Rock City to claim this week's DSiWare number one. 7. Mario vs. Donkey Kong: Minis March Again! 18. Game & Watch: Donkey Kong Jr. The top 5 is absolutely static — hardly surprising considering the quality of the games — but newcomer Lock 'N Chase misses out on the top ten. No change in the top 10, but Kirby continues to climb and Zen Pinball 3D cracks the top 20 in its first week. We lose Bomberman Blitz but Shantae keeps working her magic for another week. 9. [-] Mario vs. Donkey Kong: Minis March Again! 10. [-] Freakyforms: Your Creations, Alive! 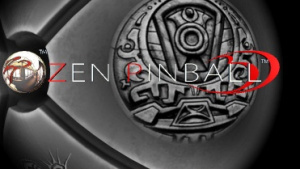 Again a static top half of the chart, but in under five days Zen Pinball has outsold Pyramids and Urban Champion. Despite being one of the best 3D Classics, TwinBee is the worst-selling piece of 3DS download software. For shame. Popcap's morticultural classic continues devouring its challengers to remain the best-selling DSiWare download ever. Will anything topple it? 2. [-] Mario vs. Donkey Kong: Minis March Again! 9. [-] Game & Watch: Donkey Kong Jr.
As expected, another static top 10, with Nintendo's main games hogging all the top spots. Pretty good and Shantae don't even belong in the same sentence. I've never played Shantae. Should I? Yeah, but on someone else's system, so you don't have to pay. Not a 10/10 game and not worth the money (in comparison to other DSiWare titles). Tip: Dont buy pop island paperfield just because of it's low price and high sales. It is the dirtiest piece of dsiware I have ever downloaded. My opinion of course, some may like it. @Zach Definitely! But if you do, buy it on an iOS device, since the eShop price is disgusting. Thanks for the tip! I don't know if I'm willing to pay 12 bucks for a downloadable game, but $4.99 sounds reasonable enough, even if everyone hypes Shantae as the best game ever.